Throughout the month of January, No.43 Italian Bistro at Cape House, Bangkok invites you to try our delectable recommended dish “Ragout of Snow Fish, Mediterranean Style”. 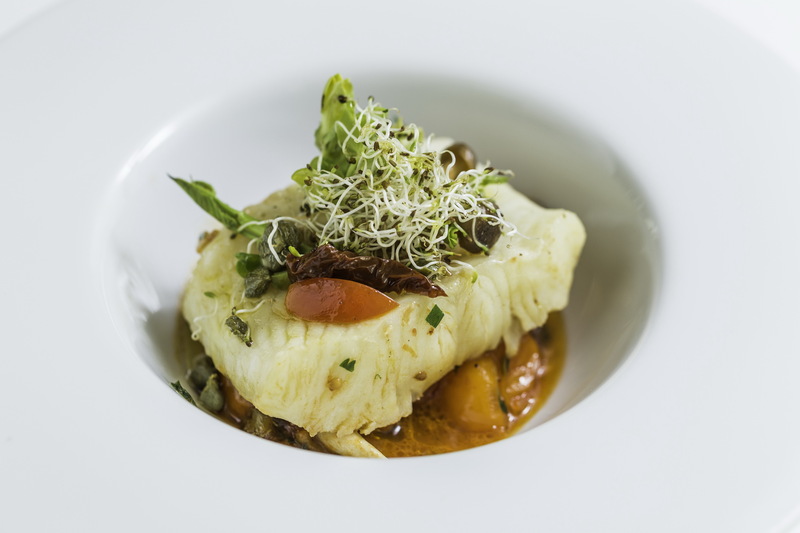 This fantastic fare features Snow Fish, on a bed of tasty Ragout. Our skillful and creative Italian Chef, Giovanni Salice, crafts this special dish from daily fresh Snow Fish fried to a firm, creamy perfection. Enjoy this succulent dish for only 690++ Baht. Bring out the full flavour with a glass of Chilean Gato Blanco Sauvignon Blanc. วันที่ 20 มกราคม 2560 เวลา 14:37 น.